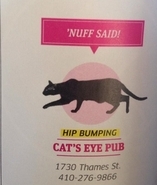 Cat's Eye Pub | Good Bands. Good Beer. Good Times. The only thing we overlook is the harbor. Located in historic Fell’s Point, a waterfront community. Open 7 days a week, 365 days a year. 32 draughts and bartenders who are experts that can mix up anything your heart desires! 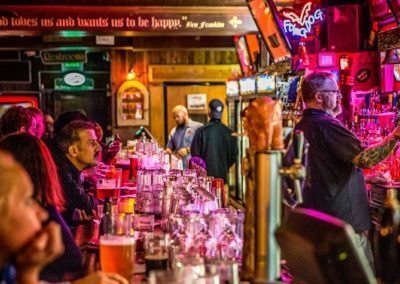 Baltimore’s favorite meeting place for blues attracts locals and friends from all over the world! 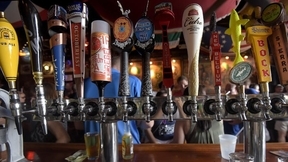 The best live music in Baltimore is offered every evening from 9:30pm until 1:30am. Every Friday from 5pm until 8pm. Saturday and Sunday afternoons from 4pm until 8pm. Dogs Among the Bushes Irish folk music by Baltimore’s best (and most experienced) local Irish band. Included are excellent renditions of traditional Irish songs as well as original tunes. They take the stage beginning at 9:30pm! Fell’s Point will celebrate the Maritime Heritage Festival (formerly Privateer Day) which focuses on Baltimore’s maritime prowess and land invasion of living history on Saturday, April 27th! We are very proud of the accolades we have received through the years! Thank you to our wonderful customers, friends, talented musicians and family who have and continue to support the Cat’s Eye Pub!! 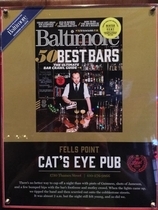 You’ll find Cat’s Eye Pub in Baltimore’s Historic Fell’s Point. 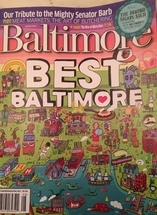 The venue is opened seven days a week and presents patrons with the “best live music in Baltimore.” That includes blues and other types of tunes. 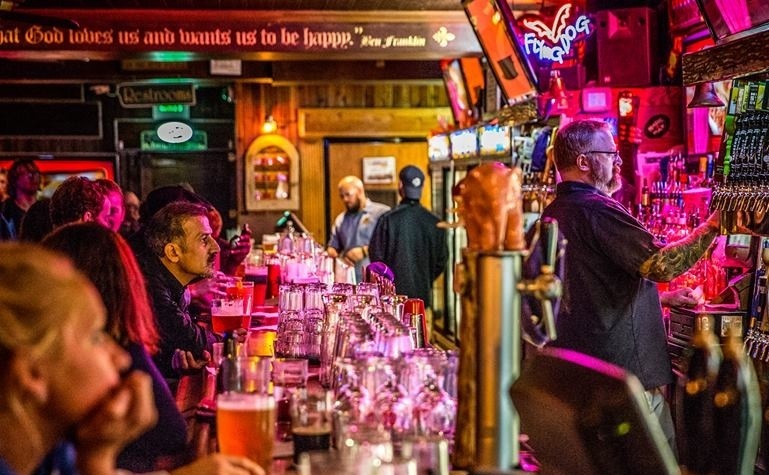 Cat’s Eye Pub’s bartenders can serve you one of their 32 draughts or anything else you want. Wednesday, April 24: Open at 2pm!